Awesome! Love how you colored that feather, thanks for the info. Gorgeous! 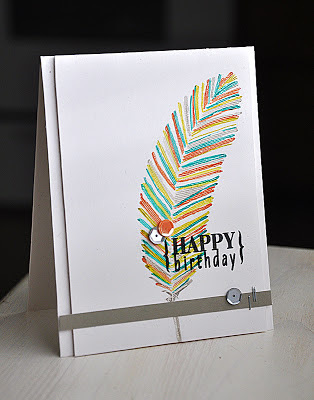 I love the multi colored feather and the location of sequins! Maile, this is beautiful! Wow! 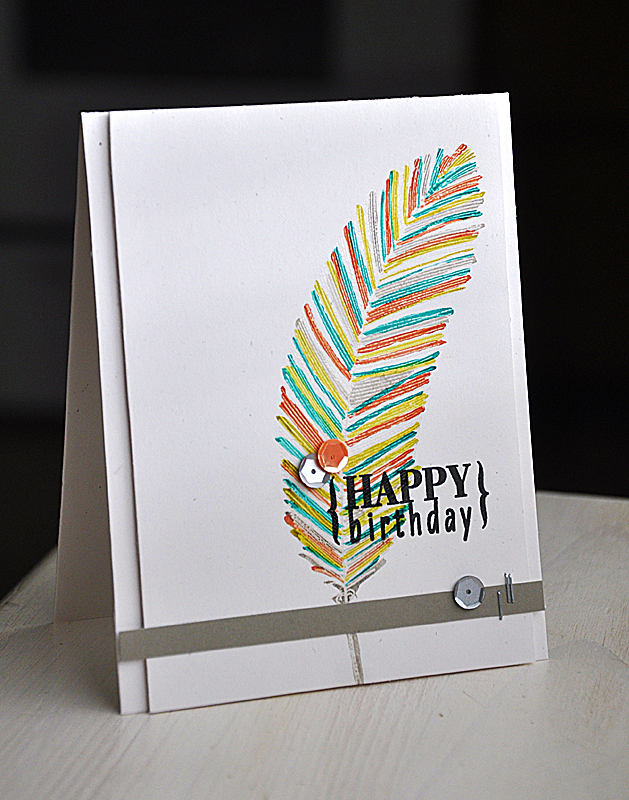 Love the rainbow colour feather, fab card! Awesome card!! 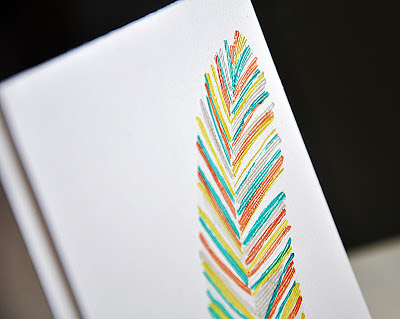 Love all the colors and of course the feather!! Happy Birthday Julie!! 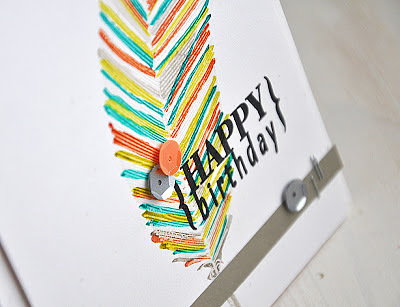 Beautiful and colorful card for Julie! Chica, this is AMAZING!!! I just love this feather and what you did with it!!! WOW!!! Thank you!!! XOXOXO!!! OH WOW!!! This is fantastic!!!! You always leave me wanting more! That feather is so clever and awesome! 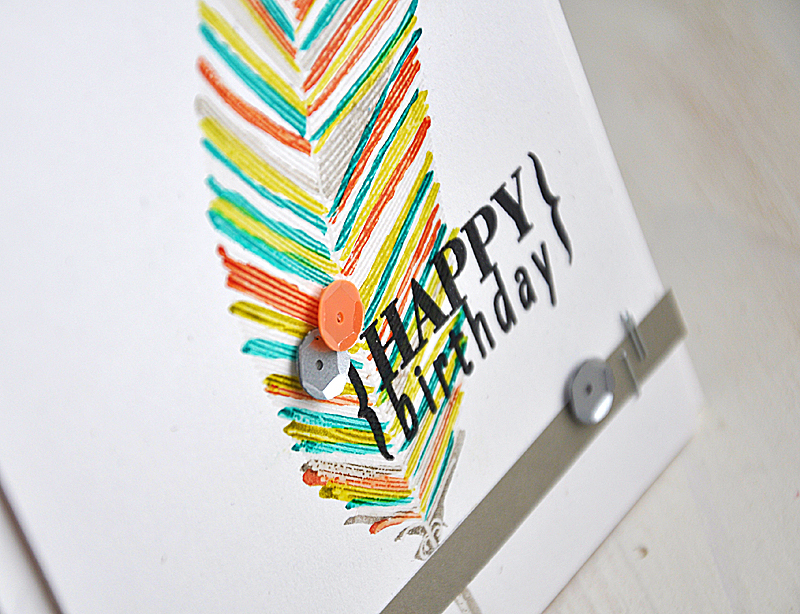 This is a wonderful card! Incredible card--I know Julie loved it! Umm, that's just crazy-cool! spray mist on clear embossing ... swoon!! This is too amazing Maile! SO creative and just downright stunning! I loved it so much the first time I saw it! Incredible ! Thanks for sharing !